Tomato - RO 19++ per person includes roses and half bottle of wine. 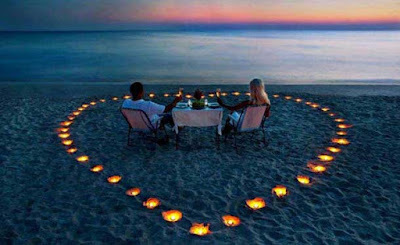 Alternatively RO 125 net per couple at the romantic pool island with 4 course dinner and bottle of Moet & Chandon. Otherwise A la carte is available. Musandam Cafe & Terrace - RO 25++ per person with half bottle of wine for a buffet dinner. Trader Vic's - RO 28++ for a 4 course meal with a complimentary cocktail - be sure to check out their 40% off HAPPY HOUR every day between 5-7pm. Asado - 6pm - 11pm - RO 99 per couple (or RO 129 per couple including "pairings"). Cocktail reception before a special set menu. Treat Your Valentine (Package) - RO 340 per couple - available throughout February - Overnight in a luxury suite, romantic dinner on the beachfront, Champagne & "romantic turndown" and breakfast in bed for two. Valentines High Tea - RO 11 per person from 10am-5pm. Beach Pavillion - 7pm-11pm - RO 40 including a glass of wine for a 5 course set menu. China Mood - 7pm-11pm - RO 30 per person for a 5 course set menu and a glass of sparkling wine. The Chedi Pool - RO 100 per person - 7 course set menu, includes on bottle of Philipponat Royal Reserve Rose per person. The Beach Restaurant - RO 40 per person (or RO 140 per couple including bubbly) for a 7 course set menu. Olivios - RO 50 per couple - 5 course dinner with a bottle of bubbly. O'Malley's - Mingle While Single Party - Ladies dress in red for a free love potion cocktail... best outfit wins a dinner for 2 at Olivios. RBG - RO 17.5 per person - 7-11pm. Buffet dinner with 1 drink, free access to the rooftop afterwards. Qureshi Bab-Al-Hind - RO 15++ (RO 40++ with a glass of bubbly) per person for set five course meal candle lit dinner along side their al la carte menu, there will be a classic movie. The Straits - RO 30 dinner for 2 including a glass of wine each / RO 70 dinner for 2 including a glass of wine each and a couples massage at I SPA. I Spa - Package - RO 35 per person which includes 60 min massage, breakfast and use of the pool 10am-5pm. Come Prima - Price unknown - 5 course Italian set menu, one couple will win a trip for 2 to Paris with Air France - KLM. The Edge - 4 course French set menu with one of the best views in Muscat. Omede - RO 19 per person with welcome drink, Buffet along with special gifts and roses for the ladies. Rooms - RO 65 per night from Feb 9th - 14th, comes with breakfast and in-room bottle of bubbly at check in, late check out till 3pm. The Frontier Bar - 25% discount for couples at the bar. Darbat Restaurant - RO 15 per person. 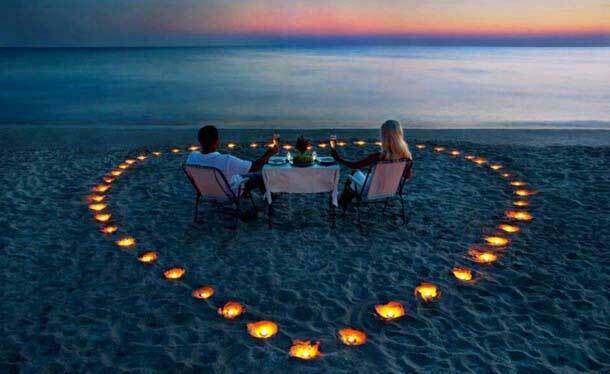 Romantic 3 course dinner with a glass of bubbly. Dolphin Beach Restaurant - RO 20 per person. Buffet dinner with 2 glasses of bubbly. The Beach - RO 65 per couple for a 3 course set menu with bubbly with live music from a saxophonist. Silk Road - RO 37 per couple for a 3 course set menu candle light dinner on the terrance. Saffron - RO 33 per couple for the buffet. Zen Spa - RO 50 for a couples massage treatment. 15. Anantara Al Baleed, Salalah. Mekong - An Asian Valentine - RO 50 per couple (or RO 75 with wine). Set menu with a bouquet of roses, box of chocolates and a framed photo to remember the evening by. Al Mina - Mediterranean affair by the shore - RO 50 per couple (or RO 75 with wine). Set menu with a bouquet of roses, box of chocolates and a framed photo to remember the evening by. Dining by Design - RO 150 (or RO 200 with wine) per couple for a set menu with a bouquet of roses, box of chocolates and a framed photo to remember the evening by. 16. Anantara Al Jabal Al Akhdar. Mountain romance special package - RO 219++ - 2 nights accommodation in a Canyon-view room. Daily breakfast for 2, 4 course Sicilian inspired set menu dinner with a glass of bubbly along with a "romantic in-room setup" on arrival. If you don't feel like driving, you can also get 30% off a luxury 4x4 transfer from Muscat. Pool - RO 80 per couple, romantic dinner by the pool with 4 course menu and a bottle of bubbles. Al Zafaran - RO 40 per couple, 4 course menu with a bottle of bubbles. RO 50 per couple for buffet dinner and glass of bubbly. RO 25+ 5% tax per person. 3 course dinner with a bottle of wine. Ocean Restaurant - RO 40 per couple - 4 course set menu with a bottle of wine. RO 50 per couple for a 5 course meal with a bottle of wine. Do you have a Valentines event planned? It's free to be listed here on [MM]! All you have to do is email me and I'll add your details here!